Voice Quality Even more, with the CSR8635 chip inside, the SmartOmi ERA offers crisp highs and a sharp bass that makes your workout more enjoyable. The noise cancellation and echo elimination technology could ensure the smooth and clear sound. Working Time The music never stops in a long run! 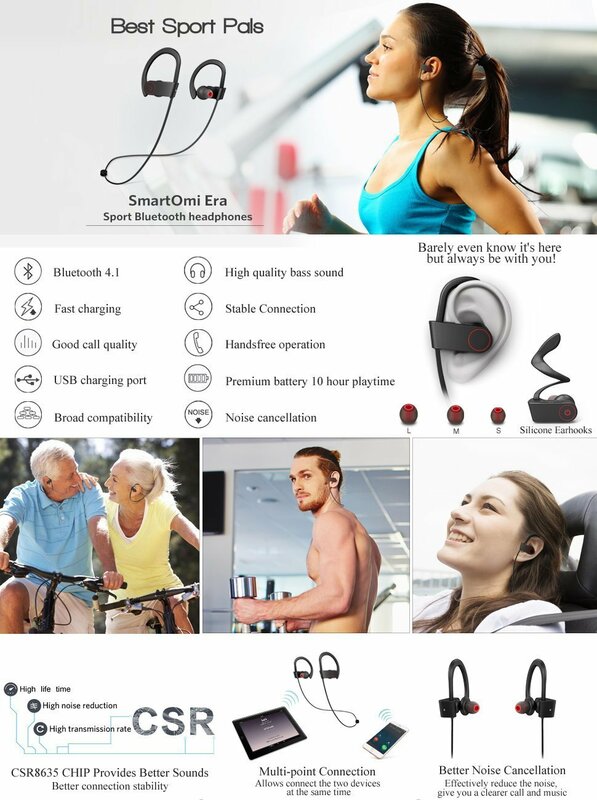 The capacity of 100mAh per ear phone allows a play time up to 10 hours and a standby time up to 300 hours. Yet you need just 1.5 hours to recharge.